Do we do installation and how much is it? 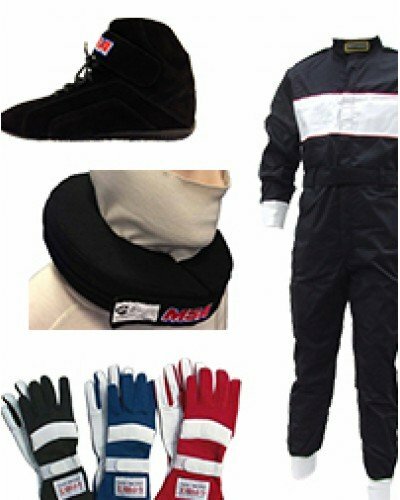 Superior Engineering and stockist around Australia offer installation. Please contact Superior Engineering directly for a quote on the products you would like installed. Can I use my Gift Voucher/Coupon over the phone or is it online only? Vouchers or Coupons through Superior Engineering work in store, over the phone, and online. For the quickest, easiest way to use your voucher or coupon, we recommend you use your code online. What currency is your pricing based off? All Superior Engineering pricing is based only off Australian Dollars (AUD $$). 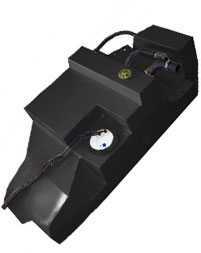 What are the benefits of Remote Reservoir Shocks? Increased oil capacity aiding in cooling and better open/closed lengths then having an internal floating piston design (IFP). Remote Reservoirs Shocks have a huge benefit over all other types of shocks , they are designed with a floating piston that is positioned in the reservoir NOT the body like a IFP, on the reservoir side is the nitrogen charge generally around 175PSI , this holds force against the oil in the line and shock. During the shocks compression and rebound, cavitation is eliminated due to the gas pressure being maintained against the oil, meaning you will experience minimum shock fade. Another really excellent benefit Remote Reservoir Shocks such as the Superior Engineering brand have is they are fully rebuild-able and serviceable; this is a huge advantage over other shocks where you cannot fix an oil leak or change the feeling of the shocks by altering the shim stack or gas pressures. 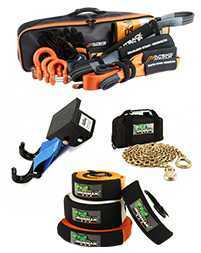 It is very easy to service remote shocks with basic mechanical tools and a nitrogen recharge kit supplied from Superior Engineering. Some remote res shocks such as Superior Engineering Remote Res Shocks are also externally adjustable to 8 stages on the compression side. What are the differences between Remote Reservoir Shocks vs Twin Tube Shocks? Remote Res Shocks have a floating piston in the reservoir and a high pressure charge of nitrogen to stop shock fade from bubbles forming; depending on brand they are also externally adjustable in many cases. 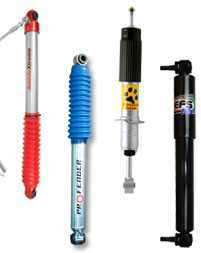 With remote res shocks you can adjust the valving and rebuild the shocks easily if needed, they are also serviceable. On a Remote Res the body of the shock is a single wall meaning internal piston is running up and down the inside of the case, this assists in heat dissipation and more oil capacity, because the piston is running on the main case a very large piston is used compared to a twin tube design, they are a very simple design that works extremely well. Twin Tube Shocks have the outer case and the inner case meaning the piston design is much smaller, they have an advantage over a Remote Res Shock where if you dint the case of the shock it usually does not affect the ride of the shock or its performance, the advantage is soon outweighed because the shock cannot disperse the heat as well as a Remote Res Shock. 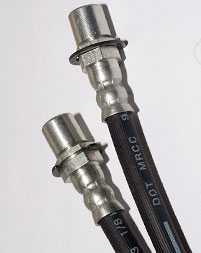 Twin Tube Shocks use a foot valve to assist in metering the oil from the inner to outer tube. Remote Res Shocks have many advantages over Twin Tube Shocks but Twin Tube Shocks are generally fine for most people and they are also cheaper. What are the differences between a Draglink vs a Tie Rod? A Draglink connects your steering box to your hub, whereas a Tie Rod connects a hub to hub. What are 4WD Steering Arms? 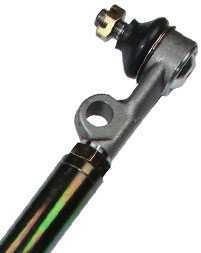 Generally Steering Arms refer to a Draglink and Tie Rod. 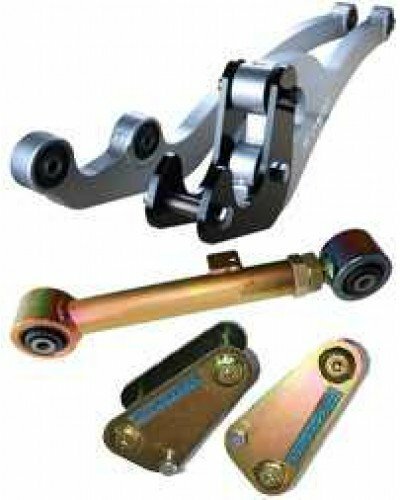 What are the differences between Steering Arms (Draglink or Tie Rod) vs Control Arms? 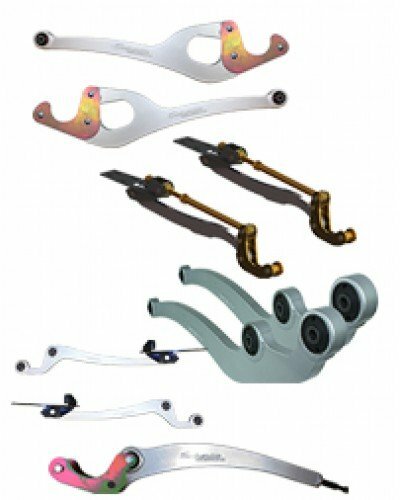 A Control Arm links the chassis to the diff housing or hub to control suspension cycle, whereas a Draglink and Tie Rod control/link steering cycle. Why does my vehicle sag? All new suspension will settle but sag over 15mm may indicate possibly a wrong spring selection for the application or a faulty spring. 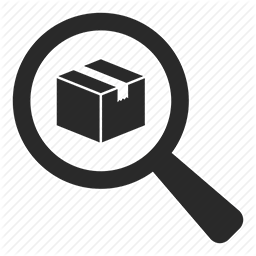 Some brands of coils are not fully scragged during manufacture, these inferior brands are more prone to sagging over time, another factor is coil spring wire type, wire such as X5K that is used by Superior Silver Series Coils are much better quality than what our competitors use. If a vehicle is loaded more than the intended springs can handle you have a risk of spring damage, make sure you are honest with what you carry and do with your truck with the sales staff when selecting the coils or leafs. If you are carrying a lot of weight with soft coils or leaves, talk to our sales staff about using air bags to assist in load carrying. What does a Shock Absorber do? What does a Coil Spring do? Holds the weight of the vehicle. What does a Leaf Spring do? What does a Swaybar do? Provide torsional force to increase roll stiffness. This reduces body roll while greatly increasing handling. What length Lower Control Arm should I fit? The correct size to suit the application will depend on bump geometry and the tyre size in the selection. You need to factor in full drop and compression. Generally on utilities you can go a bit longer as you will not have guards like wagons. You must factor in all the geometry make sure your coils are going to be straight shocks and are running properly in line, panhards and diff guards don’t hit. If you have adjustable Upper Control Arms you would generally always choose factory length lowers and you can adjust the pinion from the uppers. Remember Upper Control Arms rotate the diff and maintain close to the same wheel base where longer lowers push the diff back. 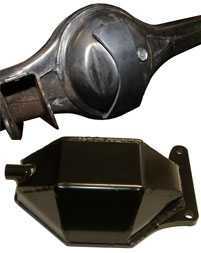 What's the difference between Hollow Bar Steering Arm vs a Solid Bar Steering Arm? Strength, generally our solid bar items are a very high grade material such as 4340M (vehicle dependent) and come with a lifetime warranty. 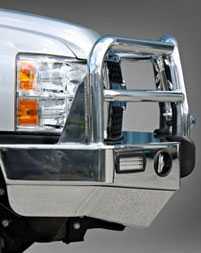 The hollow bar is made from a high tensile hollow bar material. There is a massive difference in strength from our proprietary heat treated 4340M over any other brand Steering Arms on the market. I bent my Tie Rod... I need a new one? How much is it, is it in-stock, what materials do I need, are the ends greaseable? What colour are they? We usually offer 2 options being a heavy duty upgrade, this is a heavy wall high tensile Hollow Bar Rod and we also do a Competition Spec depending on vehicle type it can be 4140 or 4340M. Yes, the ends are serviceable. They are SA5 zinc coated which is close to a gold colour, but powder coating in various colours can also be provided. What's the difference between Foam Cell Shocks vs Nitro Gas Shocks? Shock Absorbers that have Foam Cell are a sheet of foam wrapped inside of the shock absorber between the inner and outer tube, when the bubbles form they are captured in the foam cell stopping cavitation. A Nitrogen Shock otherwise known as nitro or gas has a nitrogen gas pressure inside the shock absorber, the gas stops bubbles forming much like you see a bottle of softdrink, until the pressure is released in a softdrink bottle the gas bubbles do not form. IFS (Strut Front) - Why do I need aftermarket Upper Control Arms? Factory Upper Controls Arms are pressed from low carbon steel, made cheap for mass production with no adjustment. When you lift your vehicle more stress is introduced into the suspension components and in most cases if a customer lifts a vehicle they will drive the vehicle harder offroad than the vehicle manufacturer intended so it is important to upgrade the UCA’s to a stronger version. Many UCA’s come with slight changes to the caster and camber to assist in wheel alignment when lifting the vehicle, some brands are cheap and made from china and others come in materials such as chromoly or 6061 alloy. Factory UCA’s do not have the clearance to clear the Coil Springs in many cases when the vehicle is lifted resulting in the factory arms actually hitting the coil on rebound, UCA’s such as Superior Engineering are stronger and more clearance and to suit lifted vehicles. IFS (Strut Front) - Why do I need a front Diff Drop? The Diff Drop is used to help prevent CV bind on full down travel and help with CV angles when driving down the road. What's the difference between Linear Rate Springs vs Progressive Rate Springs? A Linear Rate Spring has a set rate per inch of travel and multiplies as the spring compresses 100lbs spring takes 100lbs to compress it 1” and 200lbs to compress it 2” and so on, a Progressive Springs progressively gets harder to compress for each inch it is compressed. Why would I fit a 2" inch lift rather than a 5" inch lift? There is no right or wrong with the height of the lift you choose. A few things to remember are 2” lift kits are legal without approvals, kits that are higher than 2” will require engineering and some lifts just cannot be approved. The higher you go the more unstable the vehicle becomes due to the centre of gravity change but you will have more ground clearance than a lower lift. Lower vehicles are more stable off camber but will drag the underbody over many obstacles and often get stuck easier in mud and sand than a lifted truck. Why do I need a Panhard Rod? Factory 5 links such as Nissan and Toyota come out with a Panhard Rod fitted to hold the diff central to the vehicle, the factory Panhard Rod is not adjustable and will only suit a standard lift, as soon as you lift the vehicle over standard you will need either an adjustable Panhard or a longer Panhard designed for the lift. Superior Engineering Panhard Rods are the only Panhards on the market with a patented sealing system to stop water and contaminants entering the threads causing corrosion, this is very important when choosing a brand. What's the difference between a Body Lift vs a Suspension Lift? Body Lift only lift the body away from the chassis, they do not alter the way the suspension works. Body lifts are used for more guard to tyre clearance, usually it makes no difference to the overall clearance under the vehicle as the chassis and diffs are still lower than the body. 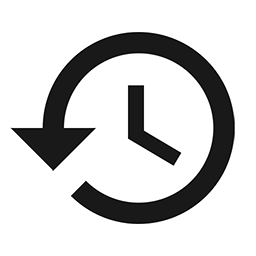 Body lifts will not enhance the ride in any way and will also allow further body roll due to the higher centre of gravity. Suspension Lifts will push up the entire vehicle except for the front and rear diffs. Fitting suspension kits usually involves springs, shocks, and all associated components allowing a more controlled and compliant ride when the parts are properly matched to the customer’s requirements. Vehicles fitted with suspension lifts will be more capable offroad then a vehicle with just a body lift kit. What is the right spring rate for my 4wd? This question cannot be successfully answered in a Q&A page; there are many different factors to look at, we highly recommend you talk to a sales professional that is trained in answering this questions. Such questions they will ask you are; how much weight do you carry when loaded , how much weight is in the car on a daily basis, what height are you after, what do you do with the vehicle such as recreation play truck, work vehicle, tow vehicle, what length and brand shocks are you using? Are Remote Res Shocks hard to rebuild? 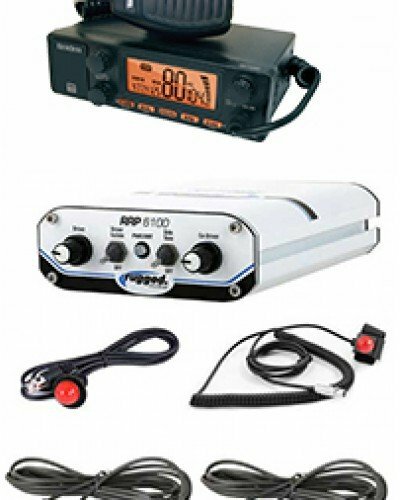 Depending on the brand of Remote Res Shocks you are wanting to service depends on what tools are needed. Superior Engineering and Amada Shocks are relatively easy to service and rebuild with basic workshop tools. A clean bench and a shock gas recharge kit sold at Superior Engineering will do it. Shocks like Fox and SRC require a special gas charge needle. King is also relatively easy to rebuild without special tools. 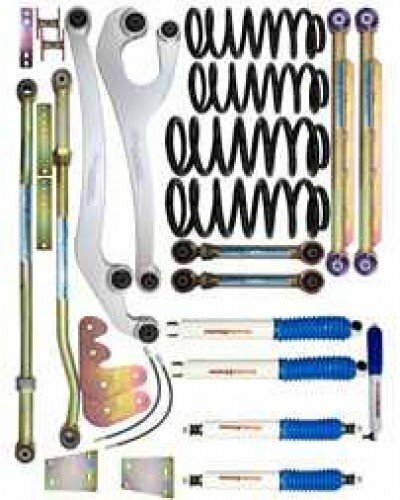 Why should I choose Superior Steering Rods over other brands? Superior Engineering Steering Rods are the only engineered steering rods available, we have done the extra work in lane change testing and independent engineer testing. You can be confident you are purchasing the best available steering rod on the market when choosing Superior Engineering. Internal threaded steering rods also have the patented ITS “Internal Thread Seal“ that no other company can offer, this is extremely important as water easily penetrates past the threads when submerged under water and eventually can corrode the threads on both the steering joint and arm causing major failure. Don’t risk your families safety. What is the difference between 4340 and 4340M? 4340 that other companies use is a lot weaker in strength than 4340M that is used from Superior Engineering. For many years we sold 4140, 4340 and now in many models we offer 4340M, this material has a propriety hardening done to the bar to make the rod extra resilient to bending and scoring, this means less drag over rocks and less damage. No other company offers a steering rod as tough as the 4340M, the “M” stands for modified. What Springs are included in the Kits listed? Superior Engineering has a range of springs available from all the spring manufacturers we deal with and can cover most if not all requirement’s included in the price of the kit. Why should I not run a Strut Spacer on a lifted Strut? A Strut Spacer will cause the strut to over extended causing premature strut failure.